A Wiltshire drone company owner has warned that drones should not be used as toys by amateurs. This warning came amid reports that a plane was struck by a drone, which prompted police investigation. Dominic Cross from Devizes, who is the owner of SKYVR, a drone photography and film business that supplies aerial photographs and footage to television and film companies, suggests that training and licensing given to commercial drone operators should be extended to individuals that purchase drones from high street shops. His suggestions came after investigation commenced yesterday following reports that a British Airways flight was struck by an object believed to be a drone as the plane was landing at Heathrow Airport. The pilot of Airbus A320, a flight from Geneva to Switzerland with 132 passengers and 5 crew members on board, reported that the plane was hit as it approached the West London hub on Sunday afternoon. Scotland Yard reported that no arrest has been made while the aviation police are still investigating the incident. Unless a drone went through an engine, it is not going to bring down an aircraft. A drone striking a plane is not much different from a plane hitting a bird, which the pilots experience frequently. But if a drone goes through the engine or battery and explodes, it will cause a knock on effect. The important question is how to solve this problem—and the solution lies in geo-fencing technology software that uses GPS tracking system. This technology marks off areas where drones are prohibited such as airports and prevents them from taking off in such places. A drone that tries to take off in such areas will stop abruptly as if it has hit a wall. 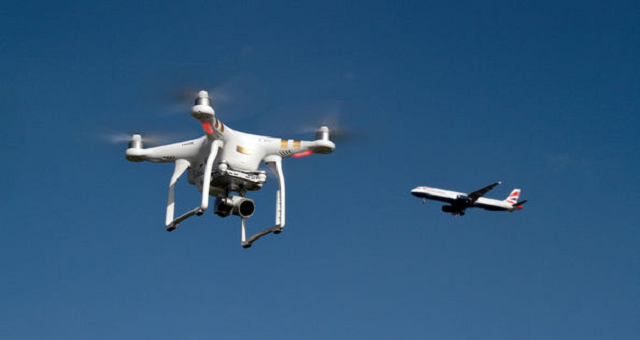 The April 17, 2016, collision is the most recent mishap involving drones at Heathrow Airport, but there were several near misses between planes and unmanned aircraft reported last year. 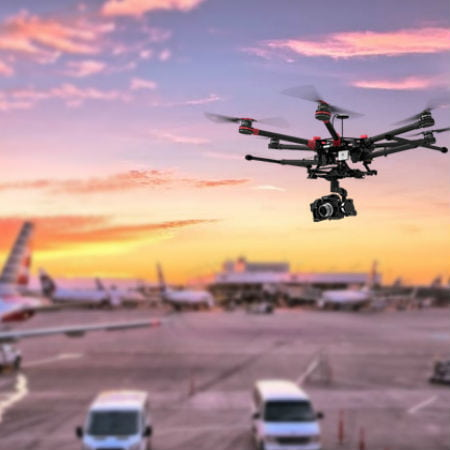 This recent incident raised the issue of regulation and control of drones that travel at 30 mph, especially in prohibited areas such as airports. Dominic, who was trained extensively on the use of drones and endorsed by the Civil Aviation Authority, revealed that drone manufacturing companies do not give enough information about the risks involved in using drones. “For a recreational drone, you can walk into a shop, buy one, go home and fly it. Since drones are flown as toys, they can be lethal. The rotating propellers can slice through flesh and can kill someone,” he explained. To avoid further accidents in the course of using drones, regulations should be made and user should be properly trained and informed. Also, the use of drones as toys should be controlled.